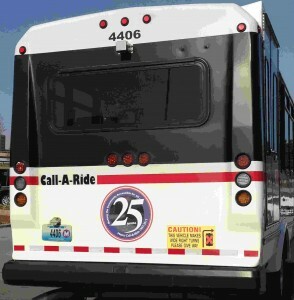 Metro Call-A-Ride is celebrating 25 years of service! Operators, dispatchers and Metro staff were invited to celebrate the milestone at a reception held at the Call-A-Ride Center on Tuesday. There were decorations, a cake, and a lot of enthusiastic employees! Metro Call-A-Ride makes about 700,000 trips per year, the vast majority for customers who are elderly or disabled and have no other transportation options. The job of a Call-A-Ride operator is not an easy one. It is physically and mentally demanding. On an average day, the operators will pick up more than 20 passengers. Operators assist customers with all types of physical disabilities and developmental issues to get in and out of the van in every kind of weather. That includes helping passengers with mobility devices onto the lift, operating the lift, and attaching a safety belt. Operators will tell you GPS systems are an improvement from previously depending on map books, but are not that helpful when they face unexpected street detours. Casandra Martin and Zelda Richardson have safely delivered thousands of passengers and driven longer than any other operators at Metro Call-A-Ride. Zelda and Casandra are the only two operators who have been with service all 25 years. Both say they love their jobs. “It’s a social job,” said Zelda. “You meet and greet people. You get to know a lot of passengers. You find out about their families and they find out about yours.” Cassandra said some of their passengers have been Call-A-Ride customers for over 10 years! 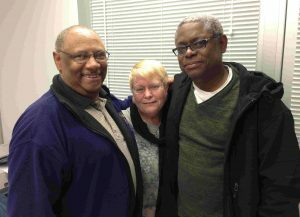 Reggie, Joani and Larry celebrate 25 years with C.A.R. “We’re now looking forward to the next 25 years!” Willett said. 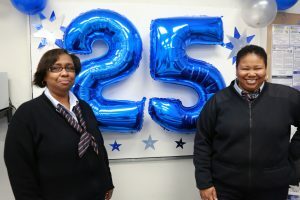 Congratulations to Metro Call-A-Ride and all of the division employees on 25 years of outstanding service! 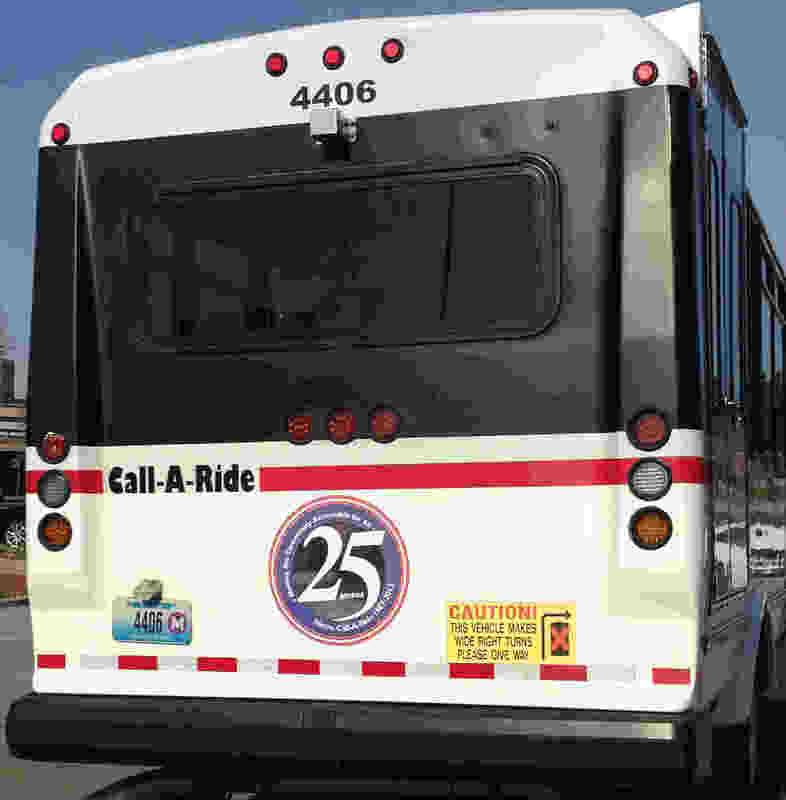 Click here to view more pictures from Call-A-Ride’s 25 Anniversary celebration!